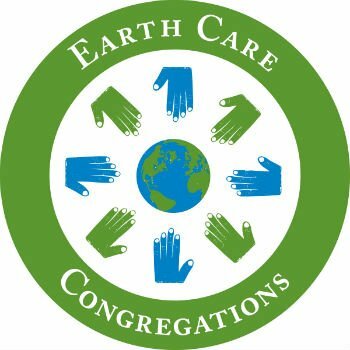 An Earth Care Congregation since 2016, this congregation affirmed the Earth Care Pledge to integrate environmental practices and thinking into all facets of our church life, and completed projects and activities in the fields of worship, education, facilities, and outreach. 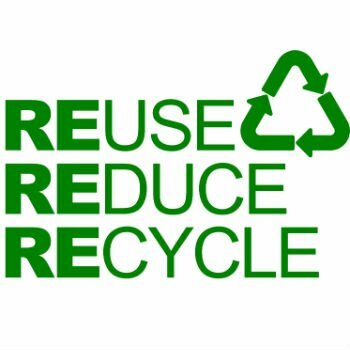 We are quietly working toward increased energy and water efficiency, responsible recycling and climate change education. The work is ongoing and we know there is more to be done. We plan to continue our environmental awareness and maintain this designation in the years ahead. Davis Community Church (DCC) was selected by the City of Davis for an Environmental Recognition Award in the Non-Profit category, based on our external and internal efforts to impact issues related to climate change. The award was presented 4/18/17 at City Council. DCC participates in broad city-wide discussions about climate change and climate justice, opens our facility to host meetings and workshops by community groups, and welcomes immigrants and refugees. As an “Earth Care Congregation”, DCC encourages the own congregation to be ‘eco-savvy’ and further, to be role models in the community. DCC has transformed the church campus to a more drought tolerant landscape, implemented composting and recycling, and hope to install solar panels. Tips and tricks on organics waste composting and use of the food scrap bin: https://dctv.davismedia.org/content/studio-organics-recycling-pt2. Local charities in Davis like the SPCA and All Things Right And Relevant or needy groups like Davis Community Meals or Empower Yolo. e-bulletin board Nextdoor has a Free and Classified section. large items can now be donated (and bought used) at the Big Blue Barn Landfill Thrift store, including furniture (not upholstered), lumber, tile, play structures and much more. https://archive.org/details/In_The_Studio_-_Big_Blue_Barn_Landfill_Thrift_Store. The Big Blue Barn Thrift Store is located at 44090 Co Rd 28H, Woodland, CA 95695. Everyone can become a better steward and the need is great. The part of the world that suffers most from our waste is the less developed, poorer areas. So reducing waste becomes social justice. Cool Davis is an active network of Davis residents, community organizations, businesses and community institutions committed to implementing the City of Davis’s Climate Action and Adaptation Plan. The mission is to inspire our community to reduce greenhouse gas emissions, adapt to a changing climate, and improve the quality of life for all. Cool Davis engages in its mission with a philosophy of fun! Climate change is serious but in order to make change we must engage all of the community and all of our creativity in the process. Cool Davis actively incorporates organizations and activities around good food, laughter, music, art, poetry, dance, visual arts, and film. See https://www.cooldavis.org/ and especially Take Action! 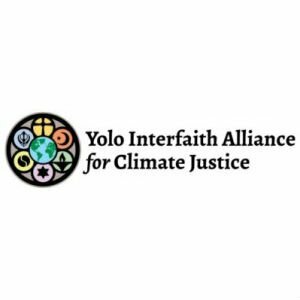 Yolo Interfaith Alliance for Climate Justice is open to any faith group members, or even non-faith folks, who wish to address climate justice and climate disruption issues on a variety of levels. Currently people from 8-10 faith groups meeting on a monthly basis. Yolo Interfaith Alliance for Climate Justice is an independent alliance and a working group of the Cool Davis Coalition.